The new tourist season is underway at Campings Tarragona, the Tarragona Campsites Association, and what better way to start than by telling you about all the new improvements we’ve made to our campsites this year. Beyond the fantastic beaches of the Costa Dorada and Terres de l’Ebre, at Campings Tarragona we also have fantastic rivers which offer perfect pools and waterfalls to cool down in during the hottest days of summer. 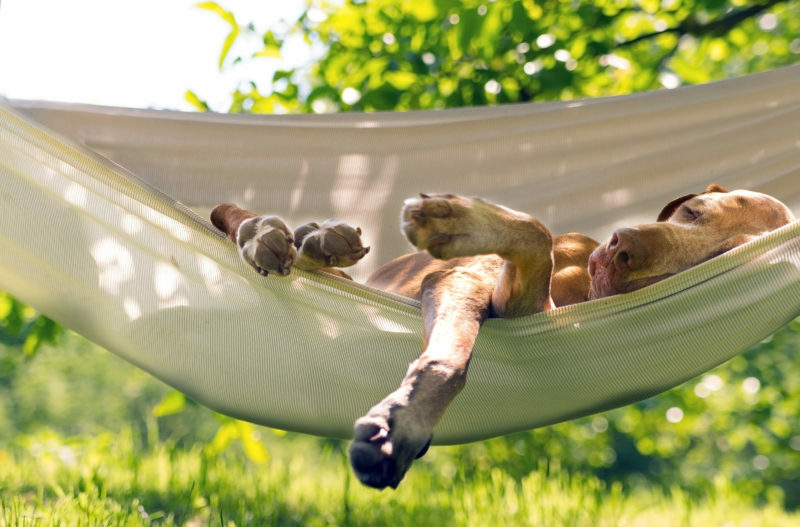 If you are considering enjoying a few days of nature and the outdoors to get away from the stress of everyday life with your family, then now you can include your pet in this plan. Campings Tarragona now welcome pets and are waiting for you to come and have a perfect holiday! When a campsite loves animals, you can tell. Coastal campsites, right on the beach, campsites in the mountains between wells, cliffs and green valleys. Different and varied, with numerous options to have a great holiday, with something in common: they are so ideal that they deserve holidays with our pets and, in addition, if we can relax and enjoy the natural atmosphere, it will definitely be a holiday to remember forever. Apart from being fun, going camping is an experience that is within everyone’s reach. And when we say everyone we also take into account our life companions: our dearly loved pets. At Campings Tarragona, we have been working so that your experience with your pet is perfect. 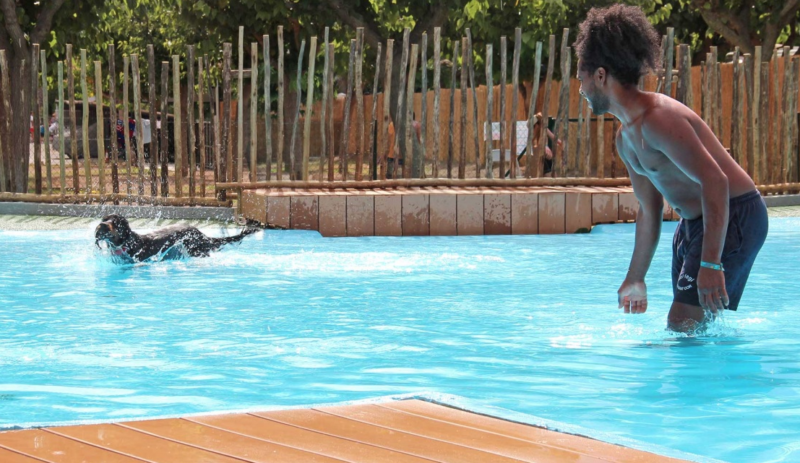 There are campsites that have created spaces for dogs, others which have a special swimming pool where they can cool down on the hottest days, and some even have parks only for them! If you are getting excited just by thinking about it, imagine what it’ll really be like! But, this doesn’t stop here. In the province of Tarragona, you will be able to enjoy the Mediterranean beaches, with crystal-clear waters and soft golden sand, where dogs are welcome. 300-metre-long and 15-metre wide unspoilt beach. 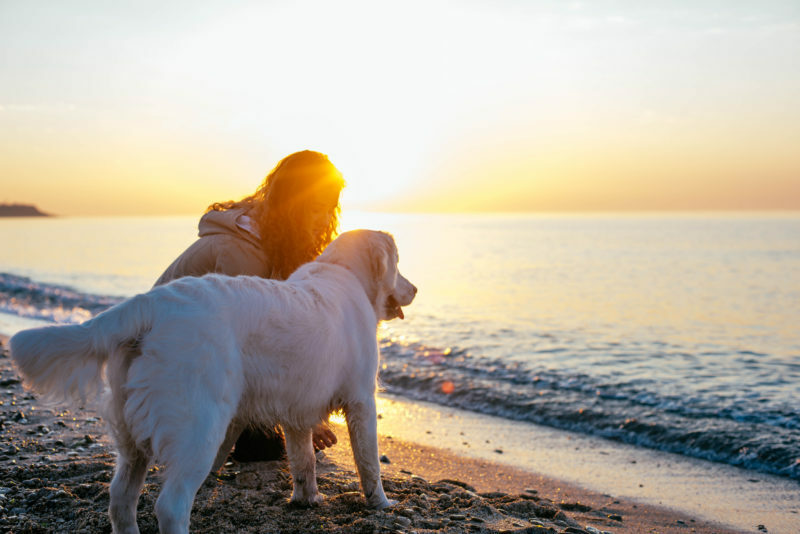 It is the ideal place for those who love spending the day at the beach with their pets, open to all dogs and their owners. A perfect beach to enjoy the hottest days of summer in the heart of Cambrils. A safe place where dogs can play, run and swim in the relaxing waters of the Mediterranean. Small idyllic cove for enjoying an untouched environment with our pets. Fine sand and crystal-clear, shallow waters allow us to spend the day at the beach with our pets. Typical unspoilt beach in the Delta del Ebro. It stands out due to its great length, crystal-clear and shallow waters. It is an ideal place to enjoy a day at the beach with the family. With a length of 100 m and an average width of 80 m, fine sand and calm waters, it is a place where you can do all kinds of sports and where our pets are welcome. Come and enjoy your holiday with all the family and discover Campings Tarragona. Check out our website and fall in love with your ideal campsite for the perfect holiday. Are you looking for a different option to spend the most terrifying night of the year? Do you want to do something different and to take advantage of an outdoors weekend? We have the solution: you can now combine the celebration of the Halloween magic night or discover the Catalan traditional Castanyada during an escapade with your family in a campsite at CampingTarragona. To escape from the stress of the everyday life and to tighten the links between you and your children: organize an escapade in a campsite! You will get in touch with the nature and take advantage of an environment which promises you a lot of adventures, make new friends, realize outdoors activities … For Halloween, Costa Daurada and Terres de l’Ebre’campsites are ready to welcome you for this occasion: Enjoy a great adventure with you family! This year thus, we suggest you spending a special Halloween night in a campsite : Take a look at the Camping and Resort Sangulí Salou, the Camping Serra de Prades, the Camping Joan, the Camping Playa Montroig, the Camping Eco-Vinyols, the Camping la Masia, the Camping Arc de Barà, the Camping Els Prats Village and the Camping Sirena Dorada among others, They are ready to celebrate this special night with you! Caravans decorated with pumpkins, candles, cobwebs and some skeletons: the atmosphere is terrifying! You will stroll in horrible passage which will make you shudder! You will see parades in the streets hearing howls wolves in the background. Thematic shows will enjoy all the family in this mythical night. Make-up workshops for children will transform them into terrifying characters! You will also get lost in the Jungle of the Fear, between huge spiders and zombies. You can finally participate in the competition of the most terrifying disguises and many other activities, concocted by Campsites Tarragona for this special night! Come to celebrate this night with your family and live an incredible experience where everybody will be delighted: a unique and very special experience! 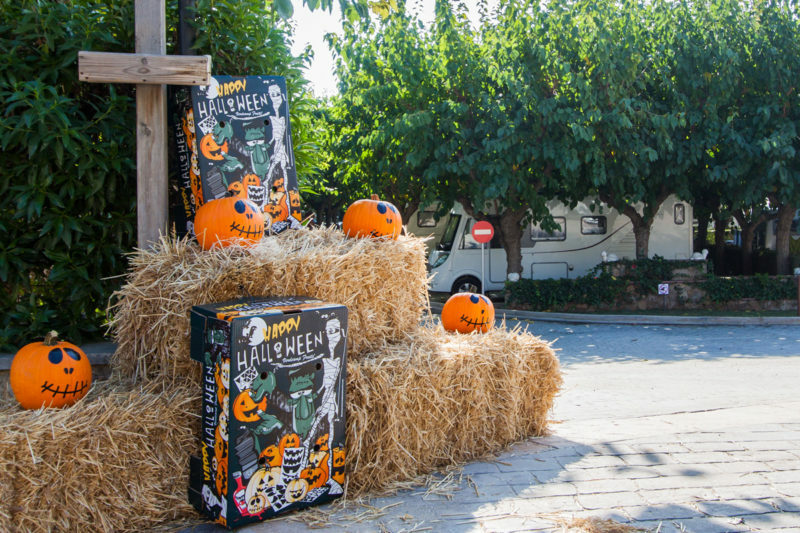 Furthermore, in the CampingsTarragona surroundings, you can opt for spending one day in PortAventura, the Costa Daurada thematic Park: These days, we also celebrate Halloween there, between pumpkins, skeletons and witches: a lot of surprises are waiting for you! Visit our site website and booking now your Halloween night: more than 25 campsites are waiting for you! Is not to be missed! Summer is ending but not our wishes to have some unique moments with our family and friends! One of the most “appetizing” opportunity for these next holidays is to discover the Camping Tarragona vicinity and especially its wines: a unique gastronomic and oenology experience. Accommodated in one of Tarragona Campsites, we will search and discover all the secret places of our Protected Designation of Origin (D.O): Priorat, Conca de Barberà, Penedés, Terra Alta, Montsant or Tarragona. Yes, our region is one of the most important oenology points in the world!